Progress sticker chart, certificate of completion, and teacher checklist. Calendar pages: Calendar songs, weather, days of the week, seasons, months of the year, and calendar labeling. Personal pages: Personal themed songs, emotional intelligence, name writing, phone number, self-care, and colors. 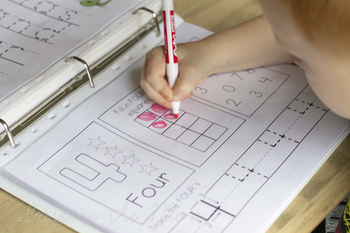 Math pages: Numbers 1-10, how many, shapes, Hundreds chart, ten frame. Handwriting: prewriting exercises, lowercase and uppercase letters, practice paper, word practice. 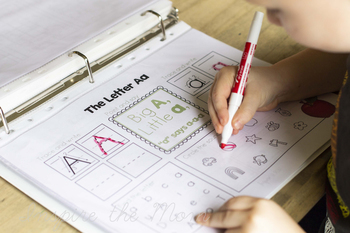 Letters: letter recognition a-z, letter sounds, letter confusion sort, letter sequencing, b & d, letter find. Fine Motor Skills: Lacing cards, Small scale scissor practice, large scale scissor practice, sticker/stamp shape outline, q-tip painting, pom-pom letter formation practice, play dough mats. Guide students though the different pages. By purchasing this electronic file you agree to these terms: This download is for personal/single classroom use only. To purchase additional licenses, choose 'purchase additional licenses at checkout or 'add additional licenses' . Don't forget to leave a review! 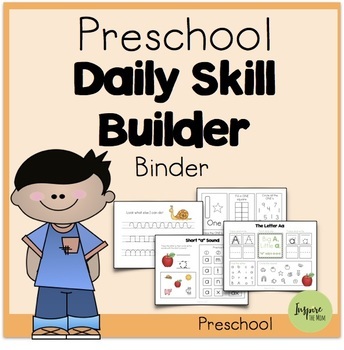 Not only does it help me to create quality resources, but it allows TPT to give you credit that you can apply to other TPT purchases! Thank you!